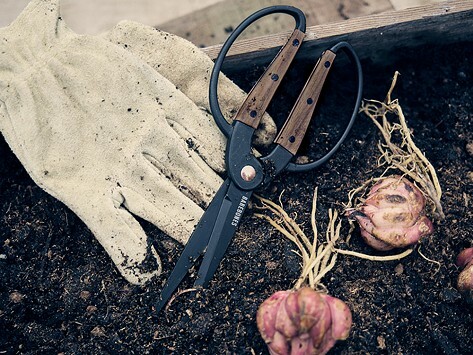 These Garden Scissors from Barebones Living are made with walnut inlaid handles and feature an ambidextrous and comfortable grip. The blades are rust-resistant and can be sharpened as needed to keep you trimming, snipping, and pruning. Dimensions: Small: 2" x 0.5" x 9.5"; Large: 2" x 0.5" x 11"